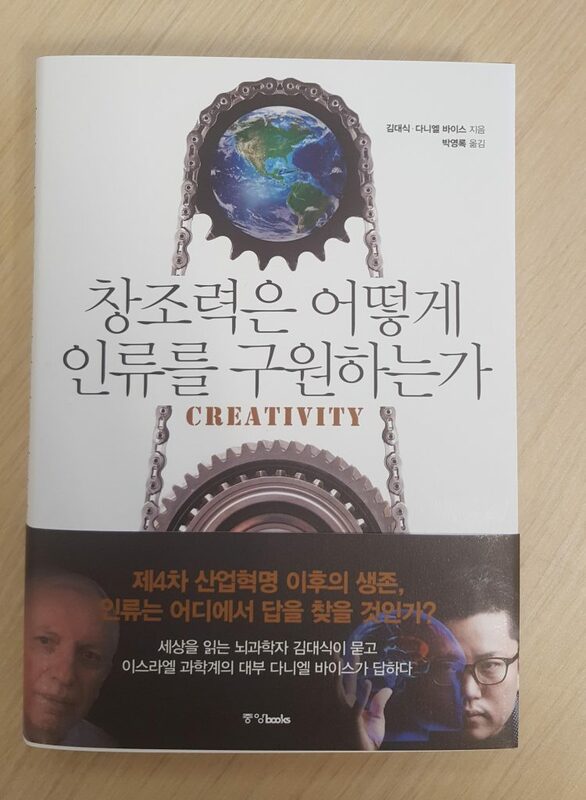 A new book on creativity and innovation, by Distinguished Prof. Daniel Weihs from the faculty of Aerospace Engineering at the Technion and Professor Dae Shik Kim from the Korea Advanced Institute of Science and Technology, was recently published in Korean. Prof. Weihs was invited to present a talk on Creativity and Innovation at a meeting in Seoul, where Prof. Dae-Shik Kim also presented. The two of them had met earlier in Israel, after which Prof. Kim published a newspaper article on their discussions. This article led to the invitation to speak at the meeting. Following the lecture, the Joongang publishers suggested the idea of publishing a book on what Israel has learned about creativity and how to turn it into innovation, both in industry and other areas. This book was formed out of a series of face-to face and online interviews that covered several aspects of the process of creativity and innovation and why Israel has become a leading body in this area. The interviews were held in English, and the edited version was translated into Korean.